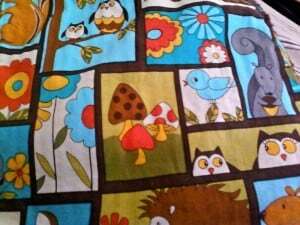 I love the Super Cuddly Minky Blanky with Satin Ruffle 40″x28″ – Green & Blue Giraffe print with Mint Green Minky Dot! I love the Extra Large Clutch with Two Pockets Green and Black 11.5″ x 7″!! I want the XL Robot wet bag! Cute and practical. Plus I’d love to try the ProCare vs. PUL. I love the Reusable Baggies…love the price too! I’d love to try the reusable baggies! I love the extra large clutch product. I like the 22″x18″ Waterproof XL Hanging WET BAG made with ProCare Brown & Blue Dot – Heat Sealed Seams – Cloth Diaper Pail. The zipper reusable snack bags are neat – the owl one would be good for my kids. I liked that they have IP Word World flashcards, they looked great. 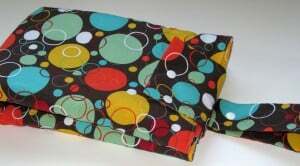 I like the 12″x11″ Waterproof WET BAG Snap Handle Made with ProCare Heat Sealed Seams – Cloth Diaper Bag. I like the Reversible Baby Bib made with Plastic Snaps. Look durable. I like the On the Go All-n-One Diaper Changing Clutch with Snap Handle – Holds Diapers & Wipes with XL Changing Pad Zebra and Hot Pink. My favorite item is the “Super Cuddly Minky Blanky with Satin Ruffle 40″x28″ – Hot Pink Paisley & Polka-Dot.” This blankey is absolutely adorable. I would love to give it to my daughter for her birthday! So cute. Thank you very much for this awesome giveaway!!!! I like the hot pink paisley burp cloth.